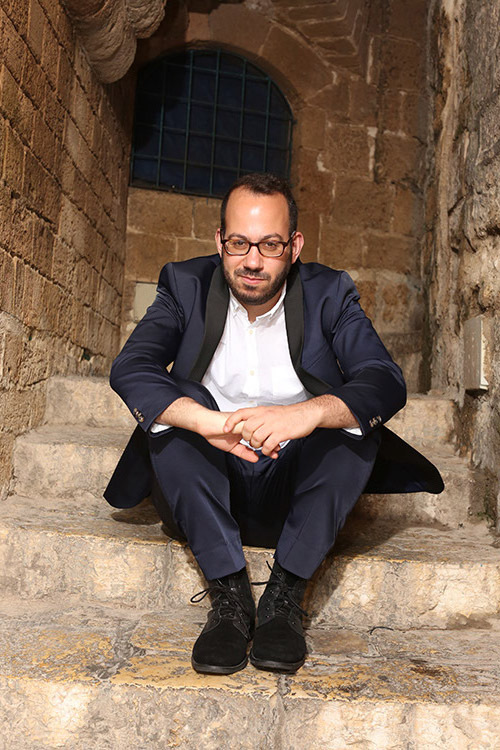 Born in Israel in 1985 and currently living and working in Tel Aviv, Yair Klartag has studied composition with Ruben Seroussi and Georg Friedrich Haas at Tel-Aviv University, Basel Musikhochschule and Columbia University. Other important composition studies and masterclasses include George Lewis, Chaya Czernowin, Brian Ferneyhough and Rebecca Saunders. His music has been performed by ensembles such as Berlin Radio Symphony Orchestra, Munich Chamber Orchestra, Tokyo Sinfonietta, Wrocław Philharmonic Orchestra, ensemble Recherche, Ensemble Mosaik, Ensemble Linea, Meitar ensemble, JACK quartet and the MIVOS quartet and in festivals such as Ultraschall Berlin, La Biennale di Venezia, Schwetzinger SWR Festspielen, ECLAT Festival, Bludenzer Tage zeitgemäßer Musik, Tage für Neue Musik Zürich among others. He received several awards and scholarships: 61. Kompositionspreis der Landeshauptstadt Stuttgart, 31st Irino Prize (Japan), "New Classics" Competition (Russia), Yvar Mikhashoff Prize (USA), 1st place at the "I International Composition Competition Ireneu Segarra" (Spain), 2nd place at "7ème Concours Dutilleux", 2nd place at the "Concours de Genève ", Audience Prize at "Isang Yun Composition Competition", "Klon" scholarship from Israel Compoers' League, AKUM prize, STV-KHS Studienpreis, the Schweizer Bundesstipendium as well as artist residencies in Herrenhaus Edenkoben and Berliner Künstlerprogramm des DAAD.